Sermon delivered at London, England, and Washington D. C. by Rev. 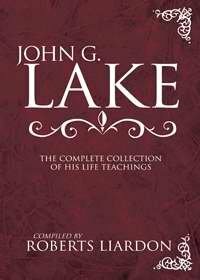 John G. Lake. Pride was the condition which, in the angel who was pure and holy, generated the desire to be separated from God, and to rebel against Him. It was the same pride, or desire to substitute his will for the will of God, which caused Adam to sin. From Adam humanity has derived the same instinctive desire to insist on their way instead of God’s way; through the continued exercise of the human will and the world’s way, the race has drifted into misty conceptions of the real will and the real way of God. This is particularly true in regard to the nature and substance of God. It seems difficult to think of Him as a being and a substance. God is Spirit, but Spirit is a materiality. And God Himself is a materiality, a heavenly, not an earthly materiality. The forms of angels are a substance otherwise they would not be discernible. It is not an earthly substance or material, but a heavenly one. As we think of the substance of which heavenly beings are composed, and of which God Himself must necessarily be a composition, the mind settles on light and fire and spirit as a possibility. Then the Word tells us that God breathed into Adam the breath of life, and man became a living soul. There came a time when God made man. The Word tells us, “He made man’s body of the substance of the earth.” He made man, the Word says, “in His own image, in the image of God created He him;” not just in the form that God was, but God breathed into him His own self, His own being - that heavenly materiality of which God consists. He injected, or breathed, Himself into the man, and the man then became a composition of that heavenly substance, or materiality, and earth, or the substance of earth. Adam was the created Son of God. He was just like God. He was just as pure as God was pure. God fellowshipped with him. The Word of God tells us that God came down into the garden in the cool of the day, and walked with Adam, and talked with Adam. There was perfect fellowship between Gid and Adam. He was a sinless man. He could look right into the face of God, and his eyes nor his spirit did not draw back. The purity of God did not startle him. He was just as pure as God was pure. That was the original man. Man being composed of God, of heaven, of a heavenly materiality, and his body of the earth, being a sovereign like God, being on an equality with God in sinlessness, God treating him on an equality and giving him dominion over the earth, man as a reigning sovereign on the earth. Everything, all conditions, spiritual and physical, were subject to that God-man. The way of sin was this, that man chose to follow the inclinations of his earth-being, animal consciousness, or body, instead of his God-man, God-being, or spirit. The result was that because of the suggestion of Satan there developed calls of the earth for the earthly. After awhile he partook of things earthly and became earthly himself. Therefore the fall of man was his fall into himself. He fell into his own earthly self, out of his heavenly estate, and the separation was absolute and complete. God had said, “In the day that thou sinnest, thou shalt die.” That is, in the day thou sinnest, partaking of that which is earthy, the conditions of the earth, being that of decay, the death process begins. So death reigneth from the time that sin came. Sickness is incipient death. Death is the result of sin. There is no sickness in God. There never was, there never will be, there never can be. There was no sickness in man, in the God-man, until such time as he became the earth-man, until by the operation of will he sank into himself and became of the earth, earthy. Therefore, sin is the parent of sickness in that broad sense. Sickness is the result of sin. There could have been no sickness if there had been no sin. Man, having fallen into that condition and being separated from God, needed a Redeemer. Redemption was a necessity because the Word says, “Ye must be born again.” God had to provide a means of getting man back into the original condition in which he had once been. One man can not save another because one man is of the earth, earthy, even as another is, and man in the natural can not save another. One can not elevate another into a spiritual condition or put that one in a spiritual condition which is not in himself. Thus it became necessary for God, in order to redeem the race, to provide a means of reuniting God and man. So Jesus was born, even as Adam had been made. He was begotten of God. He was born of God, but he partook of the tendencies of the natural life and received his natural physical body through his mother, Mary. The Word of God speaks of the first Adam and the last Adam. They were both Adams. They both came to produce a race. The first Adam had fallen and sinned. Therefore the race that was produced through him was a race of sinful people with the same tendencies in their natures which were in his. The last Adam, Jesus, had no sin. He had exactly the same privilege that the first Adam had. He could have sinned if he so chose. Jesus was a man in this world just as every man is. “He took not on Him the nature of angels, but He took on Him the seed of Abraham.” (Hebrews 2:16) He did not take upon Him a heavenly condition. He took upon himself the natural condition of the human family - fallen human nature. But Jesus Christ triumphed over that condition of fallen human nature and did not sin, though the Word of God emphasises that, “He was tempted in all points like as we are, yet without sin” (Hebrews 4:15). The Word also says, “Having been tempted, He is able to succour (or to save, or deliver) them that are tempted, having Himself been tempted even as we are tempted.” (Hebrews 2:18) This is what makes Him a sympathetic Saviour and Christ. When a Christian is born of God, and becomes a real Christian, he is made a Christ-man. If the world wants to see Jesus, it must look upon the Christian, who is the Christ-man, just as we who want to look upon the Father, and understand Him, look upon the man Jesus, who was the embodiment of the Father. Everything that Jesus did was the will and the word of the Father. So everything the Christian does, if he is a real one, should be the will and word of Jesus Christ. The Christ-man commits himself as entirely to the will of Jesus, and becomes a Christ-man as Jesus, committed Himself to the will of the Father, and became a God-man. A low standard of Christianity is responsible for all the shame and sin and wickedness in the world. Many Christians think it is all right if they pattern after Jesus in a sort of way. They imitate Him and they do the things which He did; that is, they outwardly do them. They perform kind acts and they do other things which Jesus did. But the secret of Christianity is not in doing. The secret is in being. Real Christianity is in being a possessor of the nature of Jesus Christ. In other words, is being Christ in character, Christ in demonstration, Christ in agency of transmission. When one gives himself to the Lord and becomes a child of God, a Christian, he is a Christ-man. All that he does and all that he says from that time on, should be the will and the words and the doings of Jesus, just as absolutely, just as entirely, as He spoke and did the will of the Father. Jesus gave us the secret of how to live this kind of life. Jesus showed us that the only way to live this life was to commit oneself, as He did, to the will of God and not walk in his own ways at all, but walk in God’s ways. So the one who is going to be a Christ-man in the best sense and let the world see Jesus in him, must walk in all the ways of Jesus, and follow Him, he must be a Christ-man, a Christian, or Christ-one. Therefore, the things which possess the heart and which are unlike God fasten themselves because the inner being is not subject to the will of God. One of the reasons for this low standard of Christian living is the failure to recognise the trinity of our own being. Man is triune - body and soul and spirit - just the same as God is triune, being Father and Son and Holy Ghost. Salvation begins at the time when the spirit is surrendered to God, where the name is written in the Book of Life, and we receive the conscious knowledge of sins being forgiven. Then God witnesses to the spirit that our sins are blotted out. The Word, in the eighth of Romans, says: “His spirit beareth witness with our spirit that we are the children of God.” That is, the testimony of the Spirit of God to our spirit is that we are the children of God when we surrender our spirits to God. People wonder why, after having given their hearts to God and after having received a witness of the spirit, they are troubled with evil desires and tempted in evil ways. The nature has three departments, and therefore, the surrender of the spirit to God is not all that He demands. God demands also the mind and the body. The mind is the soul life; and it continues being of the earth and doing earthy things until God does something to that mind, until we seek God for a new mind. It is similar to the change which occurs in the spirit; and the mind that formerly thought evil and that had wicked conceptions becomes as the mind of Christ. The church at large recognises the salvation of the spirit. But they have not recognised the salvation of the mind from the power of sin, and that is why many church people will say there is no such thing as sanctification. There are Christian bodies that believe in the power of God to sanctify the mind, even as the spirit is saved. John Wesley, in defining sanctification, says that it is, “Possessing the mind of Christ, and all the mind of Christ.” An individual with all the mind of Christ can not have a thought that is not a Christ thought, no more than a spirit-fully surrendered to God could have evil within it. In later years, as the revelation by the Spirit of God has gone on, man has begun to see that there is a deeper degree of salvation than these two. He is a triune being. As he needed salvation for the mind and spirit, so he has a body which needs to be transformed by God. The whole question of physical healing, the redemption of the body, the possible translation, the resurrection , are included there. Christ is a Saviour of the whole man; of spirit, of soul, of body. When Jesus, at the Jordan, committed Himself unto all righteousness to His Father, He committed His body just as He committed His mind and just as He committed His spirit. Christians have not been taught to commit their bodies to God, and therefore they feel justified in committing them to someone else or something else, rather than to God. Therefore, it is clear that in a whole salvation it is just as offensive to God to commit the body to the control of man, as it would be to commit the spirit to man for salvation. Salvation for the spirit can only come through Jesus, through the blood of Christ, through receiving His Spirit. Salvation from natural thoughts and ways, and the operation of the natural mind, can only come through the natural mind being transformed into the mind of Christ. Salvation for the body is found in the same manner, by committing the body now and forever to God. No one would think of sending to any other power than God for a remedy for the spirit. There is no spirit that one could go to, unless it is the spirit of the world or the spirit of the devil; and one goes not to either of these for the healing of the spirit or mind. The real Christian is a separated man. He is separated forever unto God in all the departments of his life, and so his body and his soul and his spirit are forever committed to God. Therefore, from the day that he commits himself to God, his body is as absolutely in the hands of God as his spirit or his mind (soul), He can go to no other power for help or healing, except to God. This is what gives such tremendous force to such Scriptures as this, “Cursed be the man that trusteth in man, and maketh flesh his arm and whose heart departeth from the Lord.” 2 Chronicles 16 relates that Asa, the king of Israel, who in the thirty and ninth year of his reign, became diseased in his feet, and in his disease he trusted not the Lord, but the physicians, and he died. Asa had been trusting God for many years, by taking his little, insignificant army and delivering the great armies into his hand. But when he became diseased in his feet, he trusted not the Lord, but the physicians, and that was the offense of Asa against God. The impression I wish to leave is this, that an hundredfold consecration to God takes the individual forever out of the hands of all but God. This absolute consecration to God, this triune salvation, is the real secret of the successful Christian life. When one trusts any department of his being to man, he is weak in that respect, and that part of his being is not committed to God. When we trust our minds (soul) and our bodies to man, two parts are out of the hands of God, and there remains only our spirits in tune with heaven. It ought not to be so, The committing of the whole being to the will of God is the mind of God. Blessed be His Name. Such a commitment of the being to God puts one in the place, where just as God supplies health to the spirit and health to the soul, he trusts God to supply health to his body. Divine healing is the removal by the power of God of the disease that has come upon the body, but divine health is to live day by day and hour by hour in touch with God so that the life of God flows into the body, just as the life of God flows into the mind or flows into the spirit. The Christian, the child of God, the Christ-man, who thus commits himself to God ought not to be a subject for healing. He is a subject of continuous, abiding, health. And the secret of life in communion with God, the Spirit of God, is received into the being, into the soul, into the spirit. The salvation of Jesus was a redemption of the whole man from all the power of sin, every whit - sin in the spirit, sin in the soul, sin in the body. If salvation or redemption is from the power of sin and every sin in our being, then the effects that sin produces in us must disappear and leave when the source is healed. Thus, instead of remaining sick, the Christian who commits his body to God becomes at once, through faith, the recipient of the life of God in his body. Jesus gave us an example of how perfectly the Spirit of God radiates not only from the spirit or from the mind but from the body also. The transfiguration was a demonstration of the Spirit of God from within the man radiating out through his person, until the illumination radiated through his clothes, and his clothes became white and glistening, and his face shone as the light. It was the radiation of God through his flesh. In a few instances God permitted me to see Christians thus illuminated in a measure. I am acquainted with a brother in Chicago, whose face is illuminated all the time; there is a radiation from it. His countenance is never seen in a condition of depression or as if the pores of his flesh are closed. There is an unmistakable something that marks him as one through whom the Spirit of God radiates. God radiated through the purified personality of Jesus so that even his very clothes became white and glistening. Christians are Christ-men and stand in the stead of Jesus. The Word of God says to the Christian and to the church, “Ye are His body.” The accumulated company of those who know Jesus, who really have the God-life within, are the body of Christ in the world, and through that body of Christ all the ministry of Jesus is operative. The nine gifts of the Holy Ghost are the divine equipment of God by which the church, His body, is forever to continue to do the works of Jesus. “To one is given the word of wisdom, to another the word of knowledge, to another the distinguishing of spirits, to another faith, to another the gifts of healing, to another working of miracles, to another prophecy, to another tongues, and to another the interpretation of tongues.” All these gifts Jesus exercised during His earthly ministry. The people who exercise these gifts create another practical Christ, the church which is His body, Christ being the head. Then this truth is seen, Christianity will be on a new-old basis. The illumination of God, the consciousness of our position in the world, the consciousness of our responsibility as the representatives of Christ, places upon us as Christ-men and Christ-women the burden of Christ for a lost world. Of necessity this lifts the heart and spirit into a new contact with God and the consciousness that if a son of God, if a Christ-man to the world, then one must be worthy of his Christ. The only way to be worthy is to be in the will of Jesus. Men have mystified the gospel; they have philosophised the gospel. The gospel of Jesus is as simple as can be. As God lived in the body and operated through the man Jesus, so the man on the throne, Jesus, operates through His body, the church, in the world. Even as Jesus Himself was the representative of God the Father, so also the church is the representative of Christ. As Jesus yielded Himself unto all righteousness, so the church should yield herself to do all the will of Christ. “These signs shall follow them that believe,” not the preacher, or the elder, or the priest, but the believer. The believer shall speak in new tongues, the believer shall lay hands on the sick and they shall recover. The believer is the body of Christ in the world. The Word says, “There shall be Saviours in Zion.” As Jesus took us and lifted us up to the Father, and as He takes the church and lifts it to the Father, and gave Himself to sanctify and cleanse it, so the Christian takes the world and lifts it up to the Christ, to the Lamb of God that taketh away the sin of the world. The wonderful simplicity of the gospel of Jesus is itself a marvel, The wonder is that men have not understood always the whole process of salvation. How was it that men mystified it? Why is it that we have not lived a better life? Because our eyes were dim and we did not see and we did not realise that God left us here in this world to demonstrate Him, even as the Father left Jesus in the world to demonstrate the Father. The man with Christ in him, the Holy Ghost, is greater than any other power in the world. All other natural and evil powers are less than God; even Satan himself is a lesser power. Man with God in him is greater than Satan. That is the reason that God says to the believer, he shall cast out devils. “Greater is He that is in you than he that is in the world.” The Christian, therefore, is a ruler; he is in the place of dominion, the place of authority, even as Jesus was. Jesus, knowing that all power had been given unto Him, took a basin and a towel, and washed His disciples’ feet. His power did not exalt Him. It made Him the humblest of all men. So the more a Christian possesses, the more of a servant he will be. God is the great servant of the world. The one who continually gives to men the necessity of the hour. Through His guidance and direction of the laws of the world, He provides for all the needs of mankind. He is the great servant of the world, the greatest of all servants. Yea, Jesus, knowing that all power had been committed to Him, and as God gave the power to Jesus, so Jesus commits through the Holy Ghost, by His own Spirit, all power to man. I tell you, beloved, it is not necessary for people to be dominated by evil, nor by evil spirits. Instead of being dominated, Christians should exercise dominions and control other forces. Even Satan has no power over them, only as they permit him to have. Jesus taught us to close the mind, to close the heart, to close the being against all that is evil; to live with an openness to God only, so that the sunlight of God shines in, the glory radiance of God shines in, but everything that is dark is shut out. Jesus said: “Take heed how you hear,” not what you hear. One can not help what he hears, but he can take heed how he hears. When it is something offensive to the Spirit and the knowledge of God, shut the doors of the nature against it, and it will not touch you. The Christian lives as God in the world, dominating sin, evil, sickness, Bless God. I would to God, He would help us to so present Jesus in the true light, that this church, and the church that is in the world, the Christian body, would be lifted up until they would realise their privilege in Christ Jesus. Bless God, it is coming. By the God within we cast out or expel from the being that which is not God-like. If you find within your heart a thought of sin or selfishness, by the exercise of the Spirit of God within you, you cast that thing out as unworthy of a child of God, and you put it away from you. Beloved, so should we do with our bodies. So must we do when sickness or the suggestion of sickness is present with us. Cast it out as evil; it is not of God. Dominate it! Put it away! It is not honouring to Jesus Christ that sickness should possess us. We do not want disease. We want to be gods. Jesus said, “I said ye are gods.” It is with the attitude of gods in the world that Jesus wants the Christian to live. Blessed be His Name! Beloved, God wants us to come, to stay, and to live in that abiding place which is the Christian’s estate. This is the heavenly place in Christ Jesus. This is the secret place of the most high. Bless God! The Word of God gives us this key. It says, “That evil one toucheth him not.” When the Spirit of God radiated from the man Jesus, I wonder how close it was possible for the evil spirit to come to him? Do you not see that the Spirit of God is as destructive of evil as it is creative of good? It was impossible for the evil one to come near him, and I feel sure Satan talked to Jesus from a safe distance. It is the same with the Christian. It is not only in his spirit that he needs to be rid of sin, nor only in his soul that he is to be pure. It is God in the body that the individual needs for a well body. It is just God that he needs. The complaint of the devil concerning Job was, “Hast thou not built a hedge about him?” He was not able to get through that hedge to touch the man. Don’t you know that the radiation of the Spirit of God around the Lord Jesus was His safeguard? The artists paint a halo around the head of Jesus. They might just as well p)ut it about his hands, feet, body, because the radiation of the Spirit of God is from all the being. Now the Spirit of God radiates from the Christian’s Person because of the indwelling Holy Ghost and makes him impregnable to any touch or contact of evil forces. He is the subjective force himself. The Spirit of God radiates from him as long as his faith in God is active. “Resist the devil and he will flee from you.” “For this purpose the Son of God was manifested, that He might destroy the works of the devil.” “Whatsoever is born of God overcometh the world, even our faith.” “Who is he that overcometh the world but he that believeth that Jesus is the Son of God?” The reason people become sick is the same reason that they become sinful. They surrender to the suggestion of the thing that is evil, and it takes possession of the heart. For 15 years God has let me move among all manner of contagious diseases and I have never taken one of them. The devil could not make me take them. I have prayed with small pox patients when the postules would burst under the touch of my hands. I have gone home to my wife and babies and never carried contagion to them. 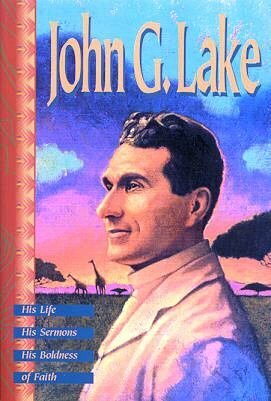 I was in the “secret place of the most High.” Indeed contact with diphtheria, smallpox, leprosy, and even bubonic plague, and the whole range of diseases, was in line of my daily work in connection with the work of the Apostolic Church of South Africa. In Jesus Name I come to Thee, Take me as I am. Make me what I ought to be, in Spirit, in Soul, in Body. Give me Power to do right. If I have wronged any, to repent, to confess, to restore. No matter what it costs, wash me in the blood of Jesus, that I may now become Thy child, and manifest Thee, in a perfect Spirit, a Holy Mind, a Sickless Body. Amen.